How can we actively sustain our personal performance at work? Looking after our physical selves at work has never been so important. At any level of the business, being overworked, receiving a lack of managerial support (above and below), plus constant change create ideal circumstances for pressure and ultimately, burnout. The picture is not improving either. The rates of work related stress in the UK have remained flat for over a decade (HSE 2016). Long working hours continue to be associated with a plethora of health problems including diabetes, alcohol abuse and depression. Crucially however, not enough attention has been given to the importance of the physical dimension as a vital component in sustaining performance. Busy executives (and everyone else for that matter) do not tend to perform better under pressure (Weisinger and Pawliw-Fry 2015). That being said, there are some practical things we can do to reduce the negative effects so that we don’t end up (at worse) under-achieving when it really matters. There are some useful ideas here from other high-performance environments such as sport, the military and the arts. In some respects, the physical and psychological demands placed on the “corporate athlete” are not that dissimilar from those placed on the “athletic athlete”, albeit in a different context. So what are the physical capabilities that should be attended to in order to maximise performance? Know which tasks you find hardest. Sufficient recovery is as important as energy expenditure. Executives often report that they believe they devote 90-100% of effort to most tasks. In fact, when their levels of concentration, focus and energy are measured (via heart rate, hydration, stress and workload assessment), they are in fact performing at around 70%. So the message here is to build variability into daily routine. If you know you need to perform at say, 90% of maximum for an important or (for you) stressful event, then it’s a good idea to plan some less effortful periods in prior - e.g. tasks which require 40% effort or less - and make sure you provide for rest afterwards. Building these natural peaks and troughs into work patterns introduces variability – a key component of effective performance. Planning for 90 minute periods of concentration with short breaks in between has also been shown to optimise physical capacity. Of course, you can work continuously for longer periods than this, but the cost goes up – i.e. you have to work much harder for the same result. The NASA Task Load Index (TLX) is a useful tool for assessing mental workload as it focuses on perceived effort task by task and offers an overall workload score based on a weighted average of ratings over 6 subscales (mental demand, mental effort, frustration, own performance, time pressure and physical effort). To evaluate stress effects, measure mental effort! Maintaining hydration levels throughout the day is an important component of performance. On average, adults need to drink two litres of water per day (12 glasses). A 1% loss in hydration level impacts mood, concentration, anger control and cognitive function. A 2% drop can lead to a 20% drop in performance and if you are thirsty, you are probably already dehydrated. Drink before you reach this stage! Pay attention to nutrition. Breakfast every day, eating little and often to maintain energy levels and avoiding the “sugar rush” as a result of eating simple sugars like chocolate or biscuits are all good ways to maintain energy and control weight. Aim to balance complex carbohydrates such as bananas, pasta and potatoes with protein and avoid eating “on the run”. 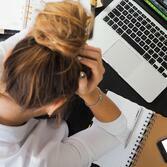 At the extreme, stress can result in chronic fatigue and ultimately burnout. Herbert J Freudenberger, a New York psychologist, observed that burnout is associated with several physical symptoms like headaches and an inability to shake colds. Sports people experience burnout as overtraining syndrome – they simply wear their bodies out from intense training with insufficient recovery. Prolonged stress can affect the immune system, motor control, mood, sleep, libido and appetite. When we experience events as stressful – whatever the source - our body releases the stress hormone cortisol. High levels of cortisol over prolonged periods can result in nasty side effects, including high blood pressure, diabetes and heart attack. When we are stressed, we can worry about being stressed – and this in turn can elevate cortisol levels. The effects are cumulative; if we don’t reduce the amount at the end of each day, we are likely to start the next day with elevated readings. What do many of us do to relax at the end of a stressful day? Likely activities include having a drink, watching the TV or having a nap but none of these pursuits are likely to help reduce cortisol as well as exercise. Building in physical activity as part of a daily routine will help in avoiding under-recovery before the start of the next (stressful) day. Numerous studies have shown that increasing physical activity can render significant health benefits. If you don’t use it you lose it – but you can get it back! Deliberate planning for peak physical performance can render significant benefits. Know what dimensions of your work you can control and be disciplined in planning for times when you need to perform at your best. Elite performers in all walks of life systematically review their accomplishments and identify performance errors. They do not allow themselves to be distracted by the victories or failures of others. They concentrate on what they can control and forget the rest. Mental toughness is the key to inoculating against negative stress effects. If you can influence the outcome, focus on the solution and if you can’t influence the outcome, focus your energy into more productive activity. It is worth keeping in mind that paying attention to our physical selves is as important as building knowledge or skills at work. Deliberately managing energy and focus enables us to build capacity so that we can achieve an acceptable balance between work and other activity to optimise performance and defend against the negative effects of pressure. 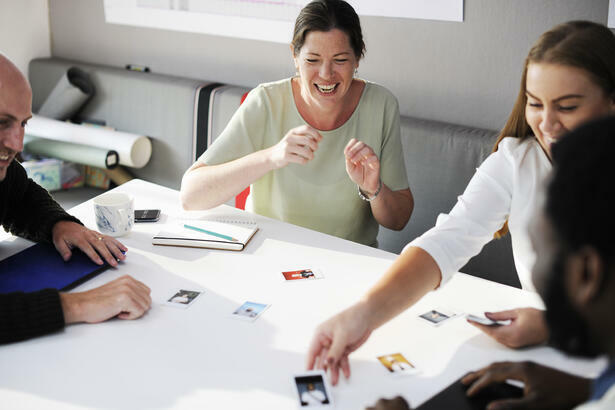 Many thanks to Dr Veronica Burke, Programme Director of the Business Growth Programme, Cranfield School of Management for this blog content.